Blink and you'll miss it!! Pink Street bring to the market this immaculate two bedroom apartment in the sought after Outram Road area, central Southsea. The property has brand new everything....along with two bedrooms, a large lounge AND a walk in wardrobe!  Ideal for a first time buyer or retiree to settle dow, we expect this property to sell fast so call Pink Street today to book your viewing. LOUNGE New grey carpet, white plastered walls, gas central heated radiators, large double glazed window to front. MASTER BEDROOM New grey carpet, white plastered walls, gas central heated radiator, double glazed window to front. BEDROOM 2 New grey carpet, white plastered walls, gas central heated radiator, double glazed window to rear. KITCHEN Brand new everything! Modern kitchen units, space fridge freezer, new gas oven and hob, double glazed window over sink, brand new gas combo boiler, new stone effect vinyl flooring. BATHROOM Brand new full white suite, half tiled, frosted double glazed window, over head shower and bath, cupboard storage, new stone effect vinyl flooring. ENTRANCE HALL New grey carpet, wall mounted security entrance phone, built in triple storage cupboard, 2nd built in walk in storage cupboard. UTILITY ROOM Space and plumbing for washing machine and tumble dryer, new stone effect vinyl flooring.